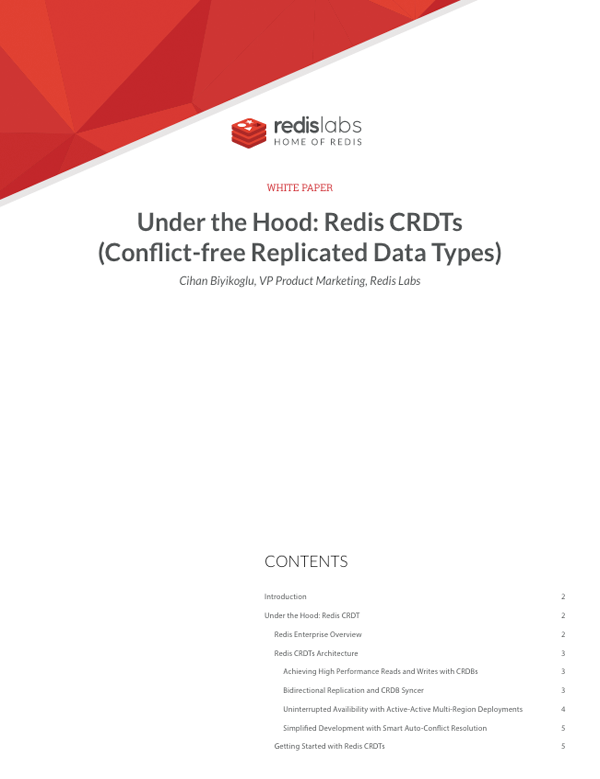 Redis CRDTs use bidirectional replication between Redis databases distributed across multiple data centers to remote geographies. Easy to implement, application developers can simply continue coding their applications against well-known Redis data types and commands. Redis CRDTs do all the heavy lifting by intelligently resolving conflicts in accordance with the data types and commands used by the applications.